We’ve already seen that there are very long term lunar cycles that sure look like they drive the weather changes on 1800 year (and longer) cycles. Even with shorter “spikes” on the graph of particular pulses of tidal forces. (All stirred by the planets and orbital resonance that keeps things in sync, so the Sun, too, has participation in some of the cycles, like the 179 ish year one). But at the short end, lunar cycles tend to things like a 29.5 day lunar month, and the 19 year Metonic Cycle. Hardly the stuff of 60 year PDO / AMO cycles. The eclipse calendar tends to be set by the Saros Cycle that’s a bit over 18 years. Fortunately for early astronomers lunar and solar eclipses repeat every 18 years 11 days and 8 hours in a “Saros” cycle. That bit about eclipses matters. That is when the moon is crossing the ecliptic. Other than that time, it is above or below the ecliptic and pulling water more north or south. For astronomy and calendar studies, the Metonic cycle or Enneadecaeteris (from Ancient Greek: εννεαδεκαετηρις, “nineteen years”) is a period of very close to 19 years which is remarkable for being nearly a common multiple of the solar year and the synodic (lunar) month. The Greek astronomer Meton of Athens (fifth century BC) observed that a period of 19 years is almost exactly equal to 235 synodic months, and rounded to full days counts 6940 days. The difference between the two periods (of 19 years and 235 synodic months) is only a few hours, depending on the definition of the year. Having your ‘count’ match up again isn’t quite as important to tidal forces as is what end / side of the earth you are tugging upon. That Saros cycle is the one that has the moon vs earth and sun as the basis. So, OK, why not an 18.x cycle then? Why a 60 year cycle? Well, first off, in another discussion we saw that it’s really a ‘sort of a 60’ and has a significant ‘near 55-59’ component. It is something of a ‘quasi cycle’ at that. And the ‘typical’ period is averaging shorter than 60 years. The obvious thing to do is divide by 3. (Or multiply by 3 going the other way). That gives about 54 years. Still, sometimes you get a cycle split between things, like an intercalary month in lunar / solar calendars. But why 3? That damn number keeps coming around. From the Druids (who memorized things in threes a lot) to Tesla who as fixated on it and only slept in rooms with 3s in the number). I looked more closely at the definition of the Saros Cycle. Note also that the saros (18.03 years) is not equal to an integer number of revolutions of the Moon with respect to the fixed stars (sidereal month of 27.32 days). Therefore, even though the relative geometry of the Earth-Sun-Moon system will be nearly identical after a saros, the Moon will be in a different position with respect to the stars. This is due to the fact that the orbit of the Moon precesses. A complication with the saros is that its period is not an integer number of days, but contains a multiple of ⅓ of a day. Thus, as a result of the Earth’s rotation, for each successive saros, an eclipse will occur about 8 hours later in the day. In the case of an eclipse of the Sun, this means that the region of visibility will shift westward by 120°, or one third of the way around the globe, and the two eclipses will thus not be visible from the same place on Earth. Because of the ⅓ fraction of days in a saros, the visibility of each eclipse will differ for an observer at a given locale. For the lunar saros series 131, the first total eclipse of 1950 had its best visibility for viewers in Eastern Europe and the Middle East because mid-eclipse was at 20:44 UT. The following eclipse in the series occurred approximately 8 hours later in the day with mid-eclipse at 4:47 UT, and was best seen from North America and South America. The third total eclipse occurred approximately 8 hours later in the day than the second eclipse with mid-eclipse at 12:43 UT, and had its best visibility for viewers in the Western Pacific, East Asia, Australia and New Zealand. This cycle of visibility repeats from the initiation to termination of the series, with minor variations. That tiny little hard to read fraction is 1/3 or 8 hours of rotation. That’s why it takes 3 of them for a full cycle. Having a large tidal pull on the bottom of the Atlantic does not do the same thing as a large tidal pull on the bottom of the Pacific. It takes 3 cycles to get back to the same place (more or less). There are other, longer term orbital movements that cause the whole “Saros Series” to take even longer to fully repeat. During that time, each 18.x and 60 ish year “cycle” will be slightly different from the ones before and after. In those kinds of circumstances, you tend to get ‘quasi cycles’ and I’d not be at all surprised to find an intercalary 18 or 9 years on one vs another PDO swap. If things get a bit out of sync (and that is not an exact 1/3 …) there will be the occasional intercalary event as the two moving cycles establish a new ‘sync’ point. Perhaps even the occasional ‘skip beat’. It don’t think it that big a ‘leap’ to think that when at an extreme end of the lunar excursion, and it swaps back the other way, there might be an extraordinary “slop” in the oceans trying to follow it. Perhaps even enough to disrupt where the Gulf Stream plunges down off Greenland, or where ice shelves suddenly lift and crack off (many of the long cycle events are measured by ‘ice rafted debris’). The precession of the lunar orbit takes 18.6 years, so only when the precession aligns with the Saros cycle at an extreme tide will we get maximum tides. With the culmination of the 18.6-year cycle of the Moon in 2006 and again in 2024-25, also called the Major Lunar Standstill, we are afforded the unique opportunity to observe the monthly, annual, and 18.6-year wanderings of the Moon. The 18.6-year cycle is caused by the precession of the plane of the lunar orbit, while this orbit maintains a 5° tilt relative to the ecliptic. At the peak of this cycle, the Moon’s declination swings from -28.8° to +28.8° each month. What this means is that each month for the years 2005-2007 and also 2023-2026, the Moon can be seen rising and setting more northerly and also more southerly than the solar extremes, and will transit monthly with altitudes which are higher in the sky than the summer Sun and lower in the sky than the winter Sun. It is when that 18.6 year precession cycle lines up just right with the solar alignment 18.03 year Saros Eclipse cycle state (i.e. maximum lunar declination changes and maximum lunar / solar tidal forces aligned) that we ought to get major effects and events. Most of the time we’ve seen this, I’ve pointed out the down dips and collapses of civilizations. Instead, look at the peaks this time. Starting from the deep past at the far right. 10,000 BP rise out of the snowy muck. 9,000 BP a nice high peak. 7800 BP another peak (about 1200 years offset from prior peak). 5000 to 6000 BP as a similar ‘multi-peak’ look to 9000-10000 but flatter due to no longer rushing out of a glacial. Still, it has small relative peaks on the 5000 and 6000 points. 0 BP Peaking at present (though in the context of ‘lower highs’ as we past peak temps about 3500 or 8000 years ago). There’s clearly some “other stuff” going on too. Like that “swoon” between 4000 and 6000 BP. So some longer cycles and other events need inspection (like, perhaps, that 5000 year lunar cycle as it aligns with other orbital shifts seen in the earlier paper). Still, to my eye, there looks to be an ‘about 1000+ year’ warm spike. Sub-multiple of 3000 years (or 2 x that 1500 year cycle) or perhaps just a couple of hundred years error in the ice off of that 1226 year cycle. I don’t know the error bans on the GISP2 core. It is also possible that other things, forces, cycles modify the basic Saros “long count” and / or provide ‘skip beat’ modifications. Still, at a ‘first cut’, it looks to me like there is plenty of room for a “long count” Saros Series causality on the major warm peaks, and a “short count” Saros Cycles on the PDO / AMO “near 60 year” cycles. I’d even go so far as to say that slopping loads of ocean back and forth has a better chance of explaining small Length Of Day variations than all that stuff and nonsense about winds and all. Just not enough mass in the air. But move some North Pacific water to the Equator, now you have something to work with. It would be good to get real numbers with real error bands on all of it. From Saros series of cycles exact dates to Gisp2 exact dates with error bands. Match up with the known PDO / AMO / AO / Circumpolar wave / etc. dates and tide charts. Fit the whole jigsaw machine together in computer animation / simulation and see what happens. It looks likely that recognition of lunar tidal cycles longer than “the month” is an important thing to weather and ocean changes. Depth, mixing, current, precipitation; all those and more can be shifted, shaped, and modified by tidal force. This graphic is an animation (if it works right ;-) that shows how the point of the eclipse moves over the earth during a Saros series. That is also the point in direct alignment with the moon and sun, so ought to have the most direct tidal force. Various eclipses in each cycle and series. It is the net-net of all those wandering forces that stirs the world oceans. Notice that this runs about 1200 years from one end of the earth to the other. Each Saros cycle 18.03 years, and the Series taking that 1226 years before repeating. This entry was posted in AGW Science and Background, Science Bits and tagged AMO, Cycle, Lunar, Metonic, Moon, PDO, Saros, Tides. Bookmark the permalink. Come see us at the Two Minute Conservative at: http://adrianvance.blogspot.com and when you speak ladies will swoon and liberal gentlemen will weep. So I’d expect that distance term to only show up in the ‘small noise’ part of the temperature data. Out of the chaos of govt agenda driven climate propaganda ,new science will be emerge as a human reaction. I have only skimmed this, but as its rotational, what if you use Pi instead of 3?. I sense you are teasing something out of the noise here, time will tell, but its a nice correlation with the ocean cycles, with time for thermal effects to happen. I have a copy of Chaos, by James Gleik, beside the computer, time to read it again, fractals ? Does the movement of warm water in the oceans show a recurring pattern? Do the mixing waters and tidal effects have beauty? Sorry , the shape of the question eludes me, its late and past bedtime. Highly relevant to the post Tim Channon put up in the early hours today as well. Thanks for this additional confirmation of a sixty year cycle linked to celestial motion. I’ll reblog it. Harald Yndestad found a 74 year lunar component in north atlantic temperature too. If only the Romans hadn’t gone around killing the druids, science might be two thousand years further advanced. Some new scrabble words….and an interesting reference regarding a nearly 30 year cycle to opposite sides of the equator. A number of different eclipse cycles were investigated by van den Bergh, but the most useful were the Saros and the Inex. The Inex is equal to 358 synodic months (~29 years less 20 days), which is very nearly 388.5 draconic months. The shorter term Saros cycle length of just the 18.03 year length has a better global atmosphere tidal signal in tornado production than the Metonic or 18.6 year declinational cycle alone. There are many tidal patterns that repeat characteristically for reasons due to local topography, as the lunar declinational culmination extent varies on the 18.6 year period. More examples of the local effects and related research by my self and others with related blog excerpts with topics of interest can be found in the research pages. What about volcanoes is there a link as well? I think man is a bit egocentric. First man thought he was in the centre of the universe, with the sun and universe going around him. Now man worked that part out, but thinks that the earth is this separate entity. Because we can’t see the cosmic rays and other forces being applied to the earth, we keep thinking we are causing everything we see and that the earth’s weather has no connection to the universe. When the earth is part of the universe and every bit of energy that hits the earth has some effect on us. So ignoring all the global warming on the rest of the planets of the solar system and thinking that we are causing the earth to change (when you fly you see how big it is!!!) we are acting like 4th century people thinking we are the centre of the universe and nothing else matters but us. While I will buy that there is a lunar influence, I don’t believe it is all that great. It is like a small signal riding on a DC bias. I believe there are other things that move that bias on which that lunar signal rides and can often completely swamp that impact. Volcanism, possibly solar influences, how dusty the environment that the solar system is flying through, changes in insolation due to orbital mechanics and various wobbles of the planet about its axis, plate tectonics, etc. Those lunar cycles were the same prior to the Holocene and they will be there after we dip into the next ice age. They will have an impact but I believe not all that great of an impact. Yes a small but persistent and predictable effect. Wouldn’t it be nice to have a good handle on how the lunar tidal effects add to the mix so we could then deduce what the rest of the long and short term effects outer planetary interactions, and their SSB effects upon the solar activity levels have , that modulate the inner planet and lunar effects due to the Saros cycle of their harmonic repeatability. Then we could sort different drivers by their relative power and timing effects to use as predictive algorithms, to build better long term forecast models based on quantified effects from many of the drivers rather than just CO2 and aerosols. @Richard Holle:…..and EM field exchanges among planets, not forgetting the twelve stator fields around. 749 draconic months, 746 sidereal months, and 740 anomalistic months. The problem is shortage of data. Only recently have the large “connection” events been documented to exist between sun and earth. We just don’t have the data needed to characterize the what and when, and forget the ‘how big’… FWIW, I think it clear that the “Ozone Holes” (and higher spots) at the poles are clearly landing pads for Birkeland Currents (or similar). So we need to sort that out first too. I also gloss over the solar involvement, but in fact the tidal cycle is a product of the moon AND the sun. One other open issue is just that if lunar tidal effects can stir our oceans enough to change weather on clear 60 year and 1800 year cycles, might not Jupiter / Saturn do something similar to solar “weather”?…. What is clear is that any weather / climate prediction model that leaves out the lunar tidal cycles will be wrong. It’s a question of “time scale”. On the 100,000 year scale, orbital changes in the earth dominate total insolation patterns so we get periodic ice age glacials and interglacials. Changes of the interstellar dust field happen on similar or even longer time scales. On a 25,000 year scale, the obliquity cycle starts to have shorter term impacts. So there is a 23,000 (or so) year ‘cycle’ showing up in the lunar tidal changes as the tilt of the earth shifts. Since obliquity changes both the lunar tidal effects and the Milankovich cycle effects, it is intermediate between the time scales. Once down at 5000, 1800 – 1220, and 60 year time scales, things like precession of the axis, eccentricity and obliquity are just not doing much. A 100,000 year eccentricity cycle or a 25,000 year axial precession just doesn’t do much in 60 years. (Precession of the apsides interacts with precession of the axis so that it makes a net 21,000 year or so net precession). At these shorter ranges, the Saros Cycle very closely matches the shifts over time scales of 56 years (as 3 x Saros Cycles) at the equator and the 74 year polar cycles ( as 4 x Saros Cycles). Saros Cycles come in a series of variable length, between 1220 and 1800 years. Just what we see in Bond Events and D.O. Events timing. A 1470 (or sometimes said as 1500) year “cycle” but with variation about that mean. So yes, these cycles were present before the Holocene and will be present after. That’s sort of the point… D.O. Events are the same cycle seen in times of a glacial while Bond Events are what happen during interglacials… but the metronome keeps the same beat… And that argues very strongly for orbital mechanics drivers of short time scale ( short being 1200-1800 years) which is just what we see in lunar tidal cycles. So yes, the long glacial / interglacial changes are driven by “other orbital mechanics” than the moon cycle. Eccentricity, obliquity, precession. But that does not mean the shorter time scale events are driven by those things, nor does it mean the shorter time scale events can not be driven by other orbital mechanics drivers. In particular, lunar tides. Plate Techtonics runs on a Millions Of Years time scale, so only matters to why whole Ice Ages begin and end (we are in an Ice Age right now, that has had several Glacials over the last million years) so not important in explaining the 5000 year scale cycles. Volcanoes are more complicated. There is some evidence that they cycle with the lunar tidal cycle as well. This is “reasonable” as magma is a liquid and so will have tides in it. But any single volcano is a point event that is typically of a year or three duration of impact. Not something that shows up in 1500 year cycles. Or even 60 year cycles. But there is very likely a lunar tidal signature on rates of volcanism in total over those longer time scales. Again, that “A AND B” issue… so holding up volcanoes as a reason why lunar / tidal forces are not important is, IMHO, again falling into the “A NOT B” trap. I just didn’t put the volcanic connection into this posting as it is less fully supported and I didn’t have the time to gather all that there is supporting it into this posting. So it will go into a future posting. Nope. Had not seen that. Nice catch. Pi doesn’t matter as it isn’t a radius vs circumference issue. 3 matters as that is the 8 hour difference that brings the same chunk of ocean under the moon every third cycle. That one on the 74 years got me thinking about distribution relative to the equator. I suspect that the N/S excursions have a “power of 2” harmonic as it IS just 2 states N and S; so the poles get 2 x and 4 x Saros patterns. The equator has the moon wobble each side, but over different oceans until the 3 x cycle repeat. This implies a fairly complex overall interaction as those 3 x and 4 x cycles might well ‘beat’ against each other. That could well explain some of the longer cycles seen. 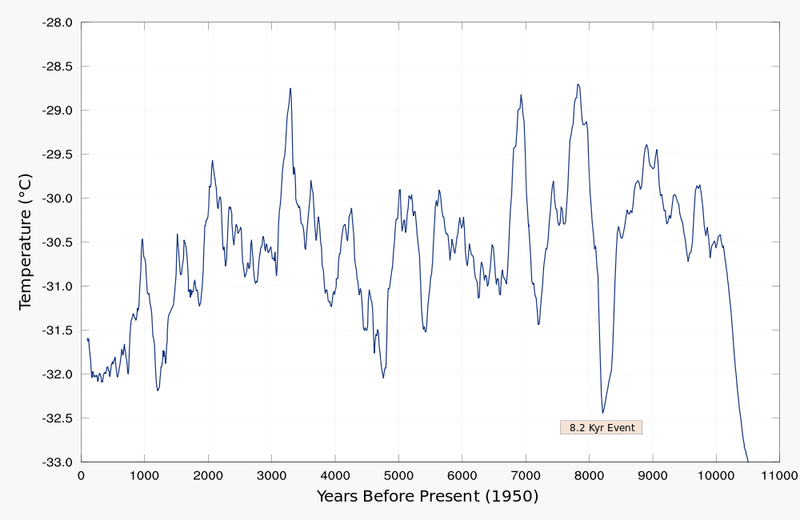 2 x 74 + 56 = 204 years, and we’ve sometimes seen ‘200 and a bit’ periods showing up in some cycle data. Just as one hypothetical that jumps out. I always wondered why Tesla developed the 3-phase alternator, not 4, or 5 or whatever. You say that he was fixated with the number 3. What was in the number 3 for Tesla? I wonder. The reason for 3 phase, and not more, is that you have captured all the efficiency by then. All three conductors are carrying power relative to each other and you can’t get more than “all”… Single phase has ‘dead spots’ in the cycle and power is flowing out one wire, but then just back in the other, so only 1/2 the power / wire. More phases doesn’t fix what’s already fixed with 3. Thanks E.M., very compelling. Re: volcanoes and lunar connection, isn’t there an actual tide in the crust on the order of 16″ or so depending on thickness and composition? The intersection of the moon+sun overhead an area with minor activity on-going might be cause for triggering volcano activity. Volcanologists use the regular, predictable Earth tide movements to calibrate and test sensitive volcano deformation monitoring instruments. The tides may also trigger volcanic events. Seismologists have determined that microseismic events are correlated to tidal variations in Central Asia (north of the Himalayas). The semidiurnal amplitude of terrestrial tides can reach about 55 cm at the equator which is important in GPS calibration and VLBI measurements. Also to make precise astronomical angular measurements requires knowledge of the Earth’s rate of rotation and nutation, both of which are influenced by earth tides. Terrestrial tides also need to be taken in account in the case of some particle physics experiments. For instance, at the CERN or SLAC, the very large particle accelerators were designed while taking terrestrial tides into account for proper operation. Among the effects that need to be taken into account are circumference deformation for circular accelerators and particle beam energy. Since tidal forces generate currents of conducting fluids within the interior of the Earth, they affect in turn the Earth’s magnetic field itself. Has an interesting way of getting the 1800 year lunar cycle (and related 1200 ish year Soros cycles) to line up with the 1470 Bond Event cycles (that are not as exact as he states on longer time scales… looking to have sporadic ‘skips’ of parts of a cycle as things shift around a bit). I tried to make a comment there that seems to have evaporated (after the captcha step) that basically points out that some D.O. and Bond Events have what looks like a few hundred year offesets, like a partial sync of changing things was enough trigger in some cases. Oh Well. The important point being that those lunar tides (be they 1200, 1470, or 1800 year ‘cycles’) will also be moving crust and magma, along with water and air. What is the effect of moving a load of water OFF of a subduction zone or rift zone with volcanoes? Of moving that land up a 1/2 meter and pulling away a load of air pressure too? Enough to trigger a marginal state into active? Remember the 1800s books and stories with all those tropical islands with active volcanoes? Then the quiet of the 1990-2000 era. I think a tidal link to volcanism is almost guaranteed.